(Seychelles News Agency) - A report presented to the environment ministry this week showed that waste management poses threats to Seychelles as most of the waste generated ends up in the landfill. 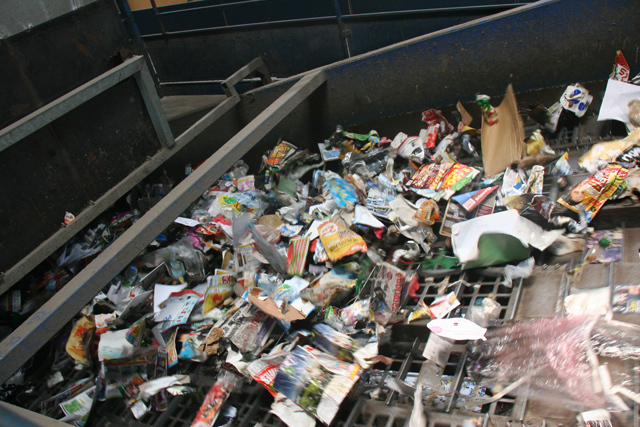 The report shows that sorting trash is one way to help reduce the volume of waste. According to the study, the practice of deposing waste in the landfill produces greenhouse gases, releases leachate into the soil and water, and use lots of land. 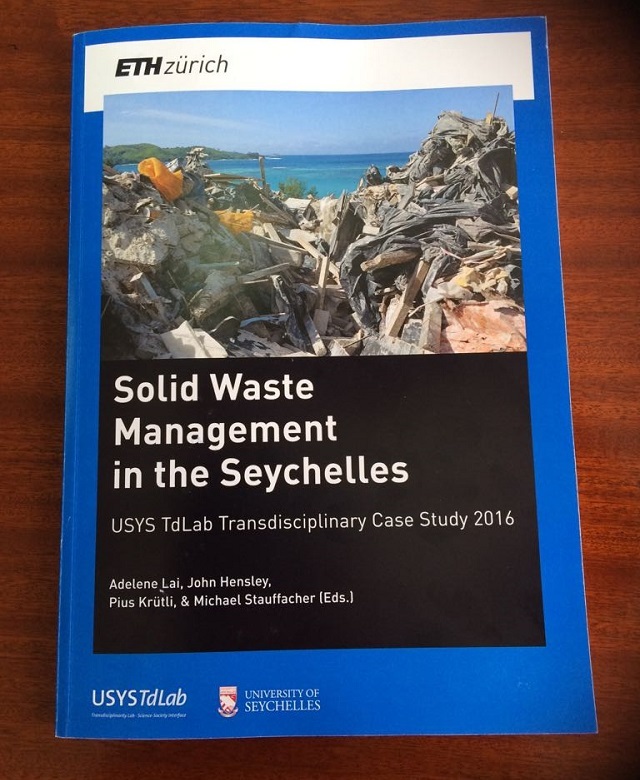 The report -- “Solid Waste Management in the Seychelles” -- was compiled by students from ETH Zurich and the University of Seychelles in collaboration with the local environment ministry. The data was gathered through a three-week field study done by the students last July. “If you do not have enough background information, the decisions that you take might not be based on science and thus might not be correct. We will be in a position to make better decisions now that the research has been done,” said Dogley.The Minister for Environment, Energy and Climate Change, Didier Dogley, said that the study will help the ministry better understand the way forward now that it has the necessary data and information. During their research, the 36 students reviewed the existing policies regulating waste management and laws protecting the environment in the 115-island archipelago in the western Indian Ocean. The students also looked at the social aspects such as the behavior of people and the way they spend their money. Dogley said that people need to rethink the way they spend, even if we live in a free market. He added that buying quality products that are durable will reduce the amount of waste that ends up on the landfill. “It is clear that if we continue the practice of sending most waste to the landfill, we will need more landfill in the next 20 years. The research confirms that sorting is something important and we need to find out how to better practice it,” said the minister. According to the Seychelles Sustainable Development Strategy (2012-2020), the 93,000 inhabitants of the island nation generates about 48,000 tonnes of waste per year. 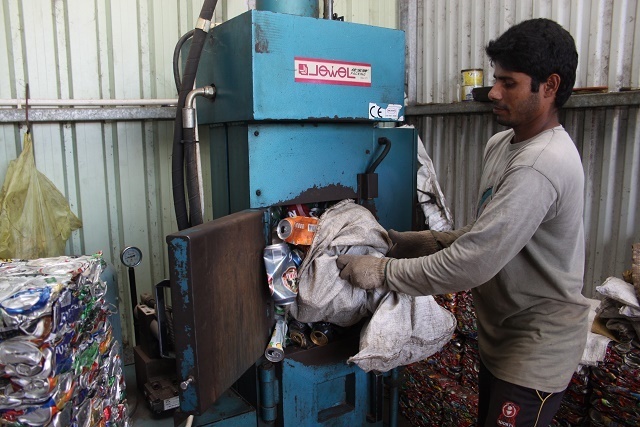 Waste sorting is not new to Seychelles as the report shows that there is a working system in place for the processing and exporting of PET bottles and cans. These waste are being sold at redeem centres by informal collectors. Dogley said that officials started a pilot exercise in the eastern Mahe district of Roche Caiman, where inhabitants were to sort their waste coming from their home. However it was not successful. Waste is a resource that Seychelles can make an income by exporting to other countries, which will in turn make it into something usable, said Dogley. Another way of reducing the amount of waste that ends up on the landfill is to process biodegradable waste in biogas plant to obtain energy. Both the ministry and ETH Zurich agree that the existing collaboration is a good one that needs to be continued. “[During the study] students apply research methodology in a real world setting and the plan is to have this joint activity every two year,” said Pius Krutli, a representative from ETH Zurich University. The minister hopes that in future students from the University of Seychelles will reach the level as those from ETH Zurich and the ministry will be able to use local students to do researches.